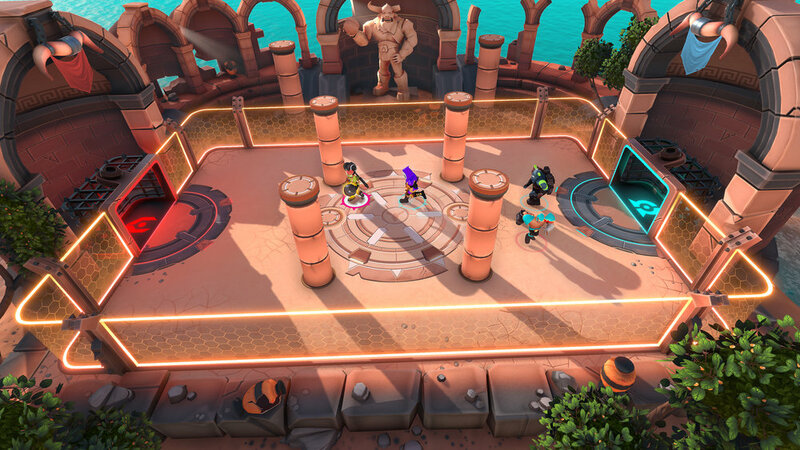 HYPERBRAWL TOURNAMENT fuses ‘no-rules’, hyper speed handball with brutal player-versus-player combat in intense multiplayer conflicts, set in arenas filled with dynamic obstacles. HYPERBRAWL TOURNAMENT WILL RELEASE IN EARLY 2019. SIGN UP FOR THE NEXT CLOSED BETA BELOW AND TO GET THE LATEST ON THE GAME. THANKS! YOU WILL RECEIVE A CONFIRMATION EMAIL TO COMPLETE THE SIGN UP. WE WILL USE THE INFORMATION YOU HAVE PROVIDED ON THIS FORM TO BE IN TOUCH WITH YOU AND PROVIDE ALL THE LATEST NEWS AND UPDATES RELATING TO HYPERBRAWL TOURNAMENT. Join us on social channels and keep up to date with all of the latest HYPERBRAWL TOURNAMENT news and information.